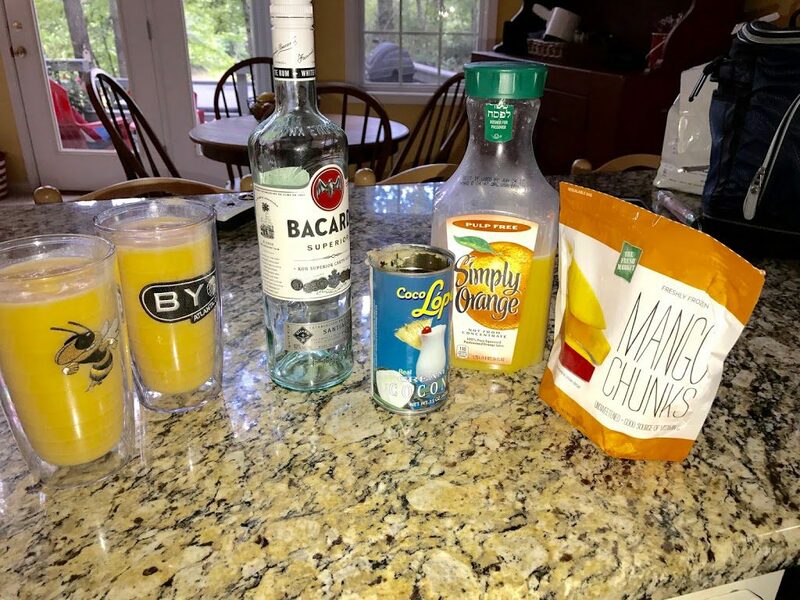 We were at the beach with my brother and sister in law and had brought me some fresh mangos, and we decided we needed to create a specialty drink to commemorate the weekend (and the fact that our daughter had just gotten married the prior weekend)! Blend all with ice in a blender until smooth. ENJOY! You can be cute and top with an orange or pineapple slice.